Since the error description is, well, very unhelpful in assisting in knowing what exactly went wrong here, here’s a quick tip how you can find out what the installer was trying to do. When you get the error, do not close the message boxt away; as long as we have the error in screen, the underlying process is still loaded and we can whip out the ol’ faithful (and no, I don’t mean this meaning of the phrase!) and indispensable Process Explorer and inspect running processes to give a clue what’s amiss. Based on the contents of INF file, it looks like Star Office 8 tries to remove some file association registrations of the older version of itself and for unknown reasons this will not play nicely with Sequencer’s virtual environment being up at the moment. But in this case there’s likely no harm of this step failing as the actual installation went successfully. As you can see, looking at the properties of running processes can reveal additional information that even install log files or message boxes don’t necessarily do in all cases. This is especially true in situations wherein processes launch another processes: Windows Installer log only logs what it itself sees directly but grandchild processes’ results may be got lost in between. And as a closing note, the trick presented here don’t apply to all INF installation failure situations. 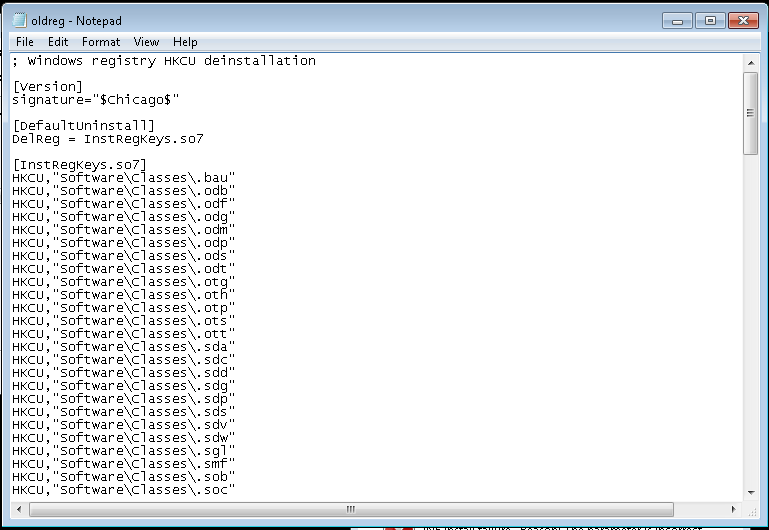 There could be another mechnisms in play wherein the installer itself calls out necessary APIs and then you won’t see a thing from a process’ command line, but in cases of like this it could be helpful to have an additional look at the running processes!